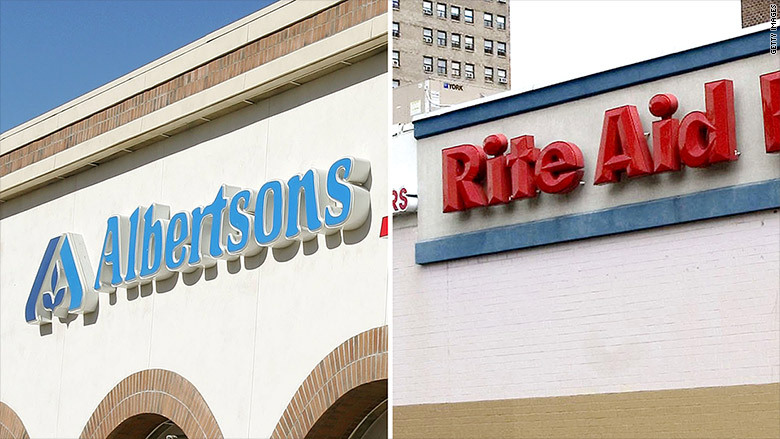 Albertsons and Rite Aid have abruptly abandoned their planned merger. The retailers announced late Wednesday that they are calling off the deal because of pushback from shareholders who complained it undervalued Rite Aid (RAD). The merger would have created a new company with about $83 billion in annual sales and 4,900 locations across the United States. "We have heard the views expressed by our stockholders and are committed to moving forward and executing our strategic plan as a standalone company," Rite Aid CEO John Standley said in a statement. Albertsons said in a separate statement that it disagreed with "certain Rite Aid stockholders and third-party advisory firms" that it wasn't offering enough to investors in the pharmacy group. Albertsons is "unwilling to change the terms of the merger," the grocery store chain added. Rite Aid said it has canceled a special shareholders meeting on the deal that was due to take place Thursday. Neil Saunders, managing director of analysis firm GlobalData Retail, said the proposed merger was based on an "overly optimistic view." "There was some logic in that the deal would have given Albertsons more scale in the high-growth pharmacy and health space," he said. "It would have also granted it access to some geographic areas it does not currently serve with a pharmacy offer. However, both of these things are about 'one plus one equaling two.' They are not compelling reasons for a complex and costly merger." Walgreens wanted to buy all of Rite Aid in 2015, but federal regulators nixed that plan on antitrust grounds. In September 2017, the two companies announced a scaled back version for nearly 2,000 of Rite Aid's stores. That left Rite Aid with around 2,600 stores. "The future for Rite Aid is now questionable," Saunders said. "After the sell-off of stores to Walgreens, it lacks scale. Given that scale is now more critical than ever in the pharmacy and health market, it will no doubt be casting around for another entity with which it can combine."